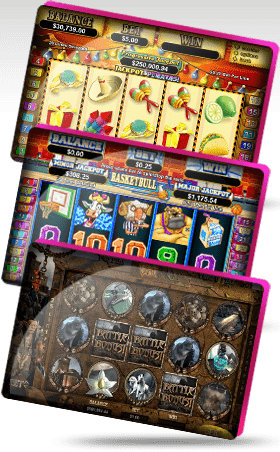 Slots Jungle is dedicated to providing excellent customer service 24 hours a day to all of our valued players, and even our valued American fans will be glad to know that we offer toll-free telephone numbers for their use. The Slots Jungle Casino contact information is simple, and American players are encouraged to contact us with any questions or feedback they may have by dialing 1-877-738-7064 24 hours a day, seven days a week and 365 days a year. For those who prefer email communication, our email address is support@slotsjungle.com. Questions involving deposits or withdrawals should be made through our finance team who can be reached at finance@slotsjungle.com. The Slots Jungle Casino contact info for those who need to fax us is 1-866-341-0961. When you choose to contact us, you will immediately notice that all of our agents are incredibly friendly and knowledgeable about our casino, and they speak fluent American English to ensure that a language barrier never prevents you from getting your questions answered or your issues resolved. We truly believe that excellent customer service can make or break an online casino, and this is why we have worked so hard to create an excellent team of individuals who are standing by to take care of your needs whenever they occur. We are always available by phone and email, and we will respond to your email request within 24 hours at the very latest. If you have questions or concerns, or even if you just want to tell us how we're doing, feel free to contact us!